The house re-wiring is over and it was every bit as bad as I thought it was going to be. Ugh! The dust and mess were unbelievable. But we're back to normality and I'll even have some sewing to share pretty soon! Anyway, this post is a bit different. We've already announced it on Instagram but I wanted to do it here, too. My sewing girl-crush, Mel, and I are going to the Knitting & Stitching Show at the beginning of March. It will be our first time meeting up in real life and we wanted to make it special. 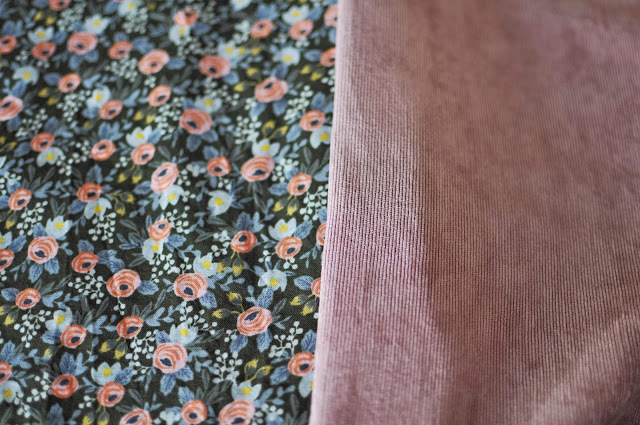 So we decided we're both going to make the Rosa shirtdress by Queen Tilly to wear on the day. It would be great if we could have a sewing day to do it together but unfortunately, geography is a slight impediment, seeing as she's in Kent and I'm all the way up here in Yorkshire. So we are going to have a virtual sewalong on the weekend of the 23rd and 24th of February and anyone who fancies it can join us. It's purely for fun. There are no rules, no prizes, no deadlines, no sponsors. 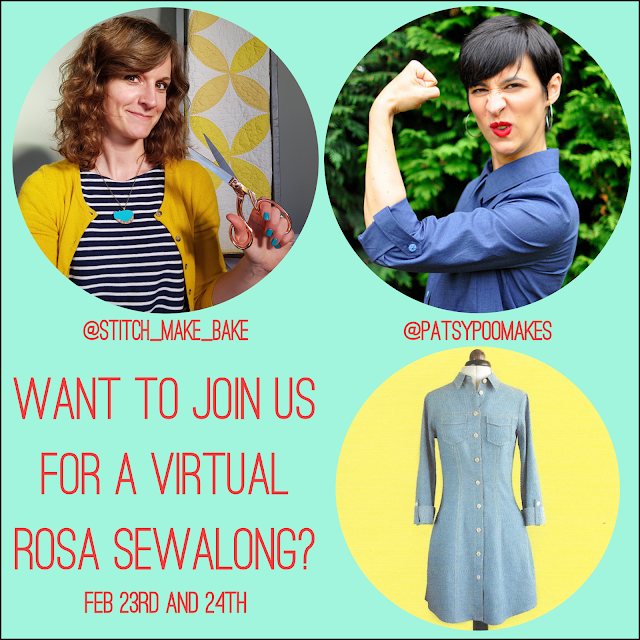 We're just going to be sewing it up that weekend and sharing our progress on Instagram, using the hashtag #rosasewalong. If you decide to join in, feel free to use the hashtag as well so we can all keep each other motivated. see what everyone else is up to and even get some help if we need it. I've already settled on my fabric, with the help of a few of my followers. I ran an Instagram poll between these two, pictured above, and the pink babycord narrowly won. However, while I was thinking about it yesterday I realised there's such a thing as nap when you're working with corduroy, and now I'm dreading not having enough fabric... 🤦‍♀️ What a ninny! I'll stay optimistic until the very end though and, hopefully, it'll be ok. I'll be back in a few days with a step-by-step of how I insert my collars in preparation for the sewalong. Tilly's instructions are always amazing but I prefer my method of sewing up a collar and I will share it here. Until then, I'm always on Instagram and, if you don't already, you can also find Mel over there. Plus, she's ace, so go follow her and say hi!